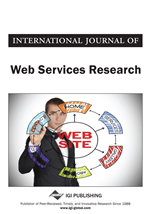 The article presents the framework for agent-enabled dynamic Web service composition. The core of the methodology is the new understanding of a Web service as an agent capability having proper ontological description. It is demonstrated how diverse Web services may be composed and mediated by dynamic coalitions of software agents collaboratively performing tasks for service requestors. Middle Agent Layer is introduced to conduct service request to task transformation, agent-enabled cooperative task decomposition and performance. Discussed are the formal means to arrange agents’ negotiation, to represent the semantic structure of the task-activity-service hierarchy and to assess fellow-agents’ capabilities and credibility factors. Finally, it is argued that the presented formal technique is applicable to various application domains. Presented is the ongoing work on designing and implementing agent-based layered architecture for intelligent rational information and document retrieval. Finally, the discussion of the OntoServ.Net framework for the development of P2P mobile service infrastructures for industrial asset management provides the extension of the Web service composition approach.